This LSAS system is designed to automatically drop one or more lift axles on a trailer when a load is sensed. This prevents overloading of the trailer's static (down) axles if the operator neglects to drop the lifted axles. 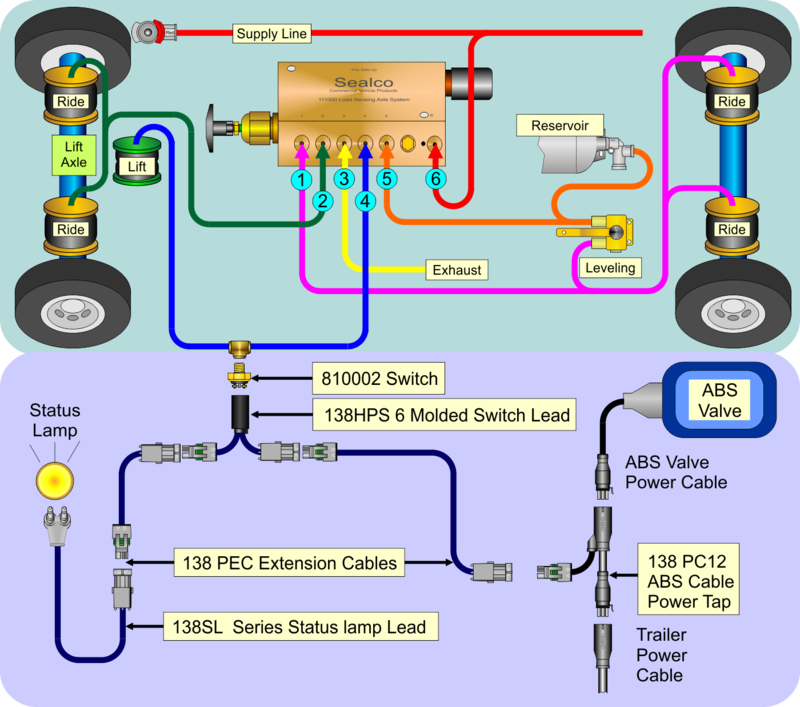 The system monitors the load by sensing the pressure in the air suspension. Prevents Overload Damage When Lifted Axles Are Not Dropped. Deployment Trigger Pressure Range From 25 to 75 PSI. Plug In Harness Accessories Designed To Couple Direct To Body Switch And ABS Power Cable With Weather Pack Connector. Body Includes Two Through Holes For Mounting.